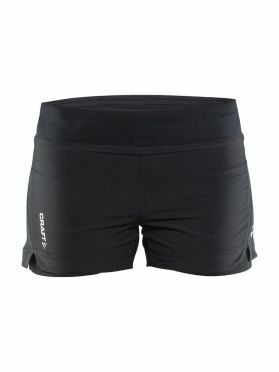 The Compressport Trail running Under control Compression short black women seamless design offers maximum support to the thighs and absorbs up to 30% of the shocks. A thermoregulated design protects the body from temperature changes while ventilation bands offer comfortable compression to the thighs. A Power-Climb Grip enables you push on your thighs to climb up easily. An astute pocket ensures your accessories are always on hand. The Compressport Trail running Under control Compression short black men seamless design offers maximum support to the thighs and absorbs up to 30% of the shocks. A thermoregulated design protects the body from temperature changes while ventilation bands offer comfortable compression to the thighs. A Power-Climb Grip enables you push on your thighs to climb up easily. An astute pocket ensures your accessories are always on hand. Compressive in all the details - ventilated fibre, latest compressive tubes, and seamless construction – this Compressport Under control compression running short black women improves muscle oxygenation thanks to blood flow being stimulated. Vibrations are reduced by 30% and risks of injury are limited. Thanks to ventilation bands directly integrated in the fibre, it is a soft running apparel that causes no discomfort and that you will put on easily. 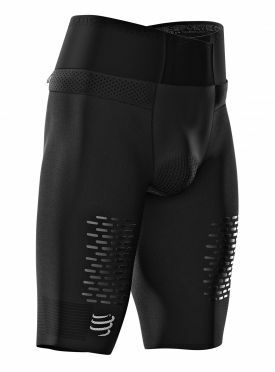 Compressive in all the details - ventilated fibre, latest compressive tubes, and seamless construction – this Compressport Under control compression running short black men improves muscle oxygenation thanks to blood flow being stimulated. Vibrations are reduced by 30% and risks of injury are limited. Thanks to ventilation bands directly integrated in the fibre, it is a soft running apparel that causes no discomfort and that you will put on easily. 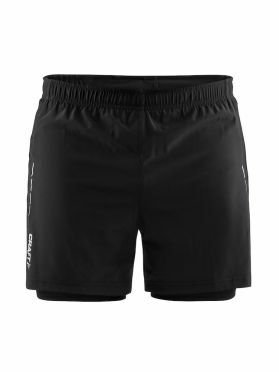 The Craft Essential 2-in-1 running shorts black men is a highly functional no-nonsense shorts with timeless design crafted for dedicated runners. Essential 2-in-1 Shorts offer efficient moisture transport and come with stretchy and functional inner tights. 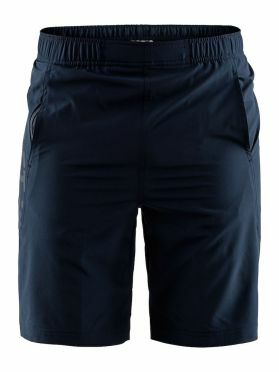 In addition, the shorts feature waistband with flat drawstring for optimal comfort, zippered back pocket and reflective details for enhanced visibility. The shorts come in a pure, all-black design that matches all your jackets, tees and jerseys. 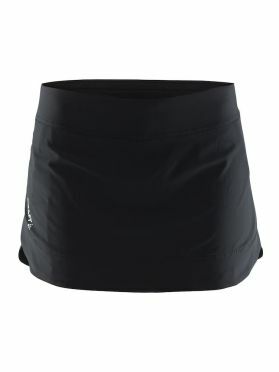 The Craft Pep running skirt black women is the perfect choice for low-intensity training such as yoga and core workouts. The skirt is made of lightweight and functional fabrics and features inner tights for optimal fit. Withc small pocket. 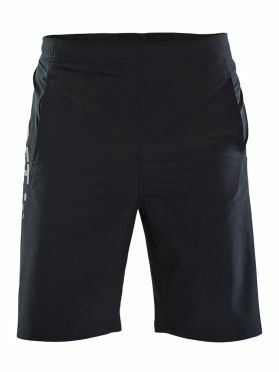 The Craft Deft stretch running short blue men is a stretchy training shorts with long legs and contemporary design. The shorts are made of soft, elastic and functional polyester that provides great freedom of movement and moisture transport during intense workouts. Elastic waistband with drawcord and two hand pockets (one zippered). The Craft Deft stretch running short black men is a stretchy training shorts with long legs and contemporary design. The shorts are made of soft, elastic and functional polyester that provides great freedom of movement and moisture transport during intense workouts. Elastic waistband with drawcord and two hand pockets (one zippered). 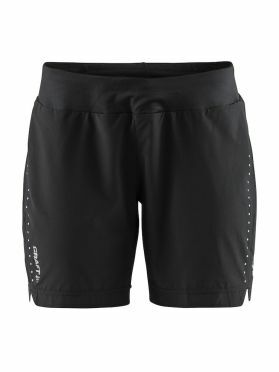 The Craft Essential 2-in-1 running shorts black women is a highly functional no-nonsense shorts with timeless design crafted for dedicated runners. Essential 2-in-1 Shorts offer efficient moisture transport and come with stretchy and functional inner tights. In addition, the shorts feature waistband with flat drawstring for optimal comfort, zippered back pocket and reflective details for enhanced visibility. The shorts come in a pure, all-black design that matches all your jackets, tees and jerseys. 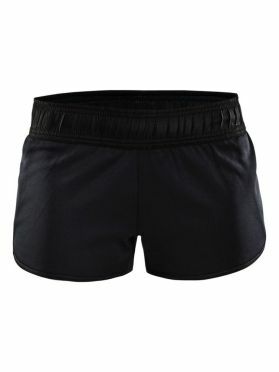 The Craft Essential 7 inch running shorts black women is a highly functional no-nonsense shorts with timeless design crafted for dedicated runners. Essential Shorts 7 inch are made of highly functional fabrics and feature mesh panels for enhanced ventilation. In addition, waistband with flat drawstring ensures optimal comfort while elastic inner tights provide a perfect fit, zippered back pocket. The shorts come in a pure, all-black design that matches all your jackets, tees and jerseys. 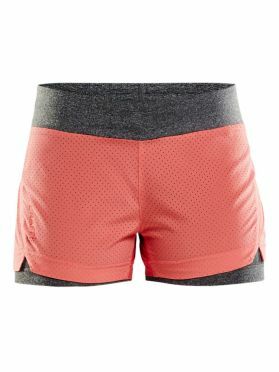 The Craft Eaze jersey running shorts pink women scores with a modern, trendy design. The wide waistband guarantees a firm grip even with enduring running units. The shorts are accentuated by contrasting coloured hems and high slit trouser legs. The Craft Eaze jersey running shorts black women scores with a modern, trendy design. The wide waistband guarantees a firm grip even with enduring running units. The shorts are accentuated by contrasting coloured hems and high slit trouser legs. 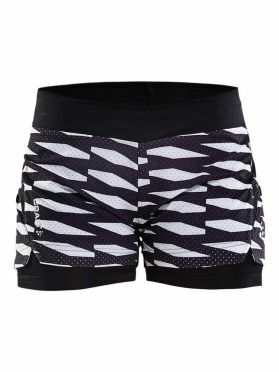 This Craft Breakaway 2-in-1 running shorts black/white women are lightweight running shorts with inner tights designed for dedicated runners. Breakaway 2-in-1 Shorts are developed for devoted runners who work out hard to perform optimally at the next racing event. These lightweight running shorts come with inner tights for optimal fit and mesh panels at sides and inner leg for enhanced ventilation. 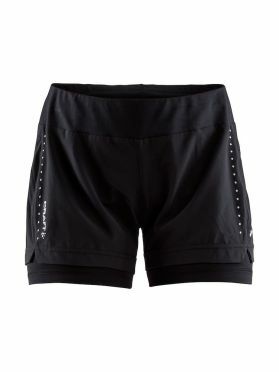 In addition, the shorts feature ergonomic design for optimal freedom of movement, zippered pocket and reflective details for enhanced visibility. Perforated fabric provides enhanced cooling. This Craft Breakaway 2-in-1 running shorts Pink women are lightweight running shorts with inner tights designed for dedicated runners. Breakaway 2-in-1 Shorts are developed for devoted runners who work out hard to perform optimally at the next racing event. These lightweight running shorts come with inner tights for optimal fit and mesh panels at sides and inner leg for enhanced ventilation. In addition, the shorts feature ergonomic design for optimal freedom of movement, zippered pocket and reflective details for enhanced visibility. Perforated fabric provides enhanced cooling. This Craft Breakaway 2-in-1 running shorts black women are lightweight running shorts with inner tights designed for dedicated runners. Breakaway 2-in-1 Shorts are developed for devoted runners who work out hard to perform optimally at the next racing event. These lightweight running shorts come with inner tights for optimal fit and mesh panels at sides and inner leg for enhanced ventilation. In addition, the shorts feature ergonomic design for optimal freedom of movement, zippered pocket and reflective details for enhanced visibility. Perforated fabric provides enhanced cooling. 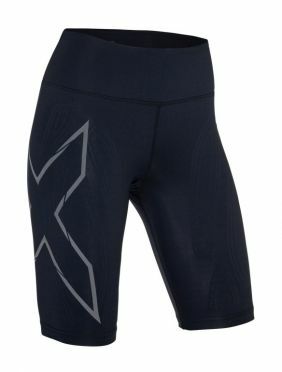 The Craft Breakaway short hotpant running tights black women aer hot pants developed for devoted runners who work out hard to perform optimally at the next racing event. Breakaway Hotpant Tights are great-fitting running tights made of functional and comfortable polyester. Mesh panel at back yoke provides enhanced ventilation while a wide waistband ensures optimal comfort. In addition, the hot pants feature a concealed zippered pocket at back yoke and reflective details for enhanced visibility. Ergonomic design ensures optimal fit and freedom of movement. 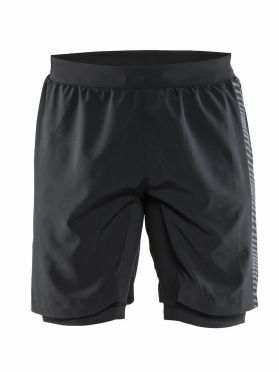 The Craft Grit running shorts black men is developed for runners who prefer to run in the woods, on narrow forest paths as well as in the mountains, Grit offers a full wardrobe for workouts in all kinds of weather. Grit Shorts are durable, long shorts that feature inner elastic tights for optimal fit and function. In addition, the shorts come with two mesh energy pockets and one zippered pocket. Jersey waistband with mesh inside and flat drawstring for optimal comfort.